Running with SD Mom: GUEST POST: Runners, Bloggers and Brands! Meet my friend Linzie from See Sharp Run. If you haven't checked out his blog, you can read all his awesome posts HERE. He is also a Boston Marathon runner. I get to do a race with him in the fall and I am so excited. Turns out we are from approximately the same part of So Cal. I love the small world of the running community! While I am on vacation, he has agreed to guest post for me on the topic of how to become a Brand Ambassador and other blogger brand tips! I love the relationships I have with the companies that I work with. 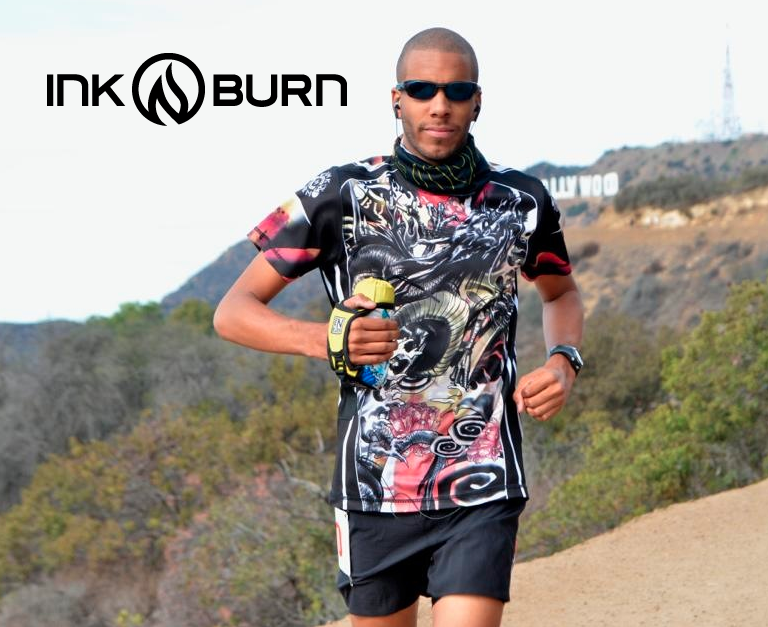 I am a brand ambassador for INKnBURN, ENERGYbits, Orange Mud, RunnerBox, and Pro Compression. Now, many people would say "Whoa! That's a lot!" And to be honest, at times it can be. You want to make sure you are giving each brand their appropriate attention and not short change anyone. I get asked a lot, what makes a great ambassador and how can someone become an ambassador. Every company/organization is different. Everyone has different values, a different mission, and a different scope. There are however a few qualities that companies look for in an ambassador. So if you have your eye on a brand...maybe these tips can help you. 1. Be REAL! Be authentic and be yourself. There is no need to put on a special face or do extra for brands. They want to know who YOU are as a person. What do YOU have to say. No one wants to work with someone that isn't themselves. So be yourself. Also, have a point of view and a strong social media presence. You are there to spread the word so the more people you can touch the better. 2. Have an understanding of the brand. Do your homework. A brand isn't interested in working with someone that doesn't know who they are, where they started from, or what their goals are. Certainly read up on the About Us tab on the companies website and learn some facts. If there is an application process (most companies do), incorporate some company facts into your authentic answers. Don't embellish or try to hard. Make sure you are sincere. 3. Don't ask for free stuff! Brands get contacted for giveaways, review items, etc. all the time. Several a day. If you want to be an ambassador for a brand, typically you are already using the product. Swag and perks are a benefit of the role...don't have an expectation. 4. Have fun! Enjoy and be passionate about what you are talking about. Find new and creative ways to share your point of view of a product. Remember, creating buzz is your job...so get creative and have fun. 5. Don't compete! None of the brands I work with are in competition with one another. They all have their own lane. For example, INKnBURN does amazing athletic apparel...no one else I work with sells clothes. Find a brand and stick with it. Flip Flopping will diminish your brand...and no one wants that. SD Mom again: So, would you consider working for a Brand? Do you? What rules do you follow? Good advice. Thanks for the blog post.